When I teach a writing workshop, I always begin with this disclaimer: There is only one ‘right’ way to write a story, and that’s the way that works for YOU. Over a long period of experimentation, I’ve discovered what works for me – at this particular time of my writing life. As I continue to grow and develop, that approach and my insights might change. So, have a read through this posting and if it strikes a chord with you, that’s great. If not, stay true to your own writing path. There are two ways of answering the question, What is your story ‘about’? The first ‘about’ gives you the premise – in approximately 25 words or so. The second ABOUT gives you the theme – in one word. But what’s at the heart of this story? What is ‘Rocky’ ABOUT as opposed to ‘about’? In one word, the theme is RESPECT. Watch any scene from that film and it’s about Rocky, Adrian, Paulie, Mickey and even Apollo Creed gaining or losing respect from others or themselves. Bringing things more up to date, watch an episode of Mad Men. I believe the overall theme for that show is the LIE. As ad men, they are professional liars, but watch how often lies – and the opposite, truth – are depicted in every scene, both professional and personal. 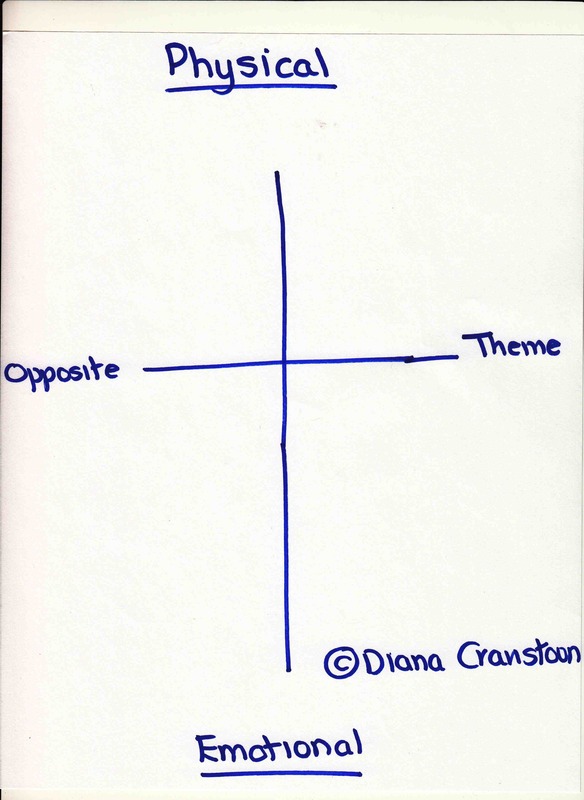 What are some themes? Respect. Love. Revenge. Survival. Trust. Honour. Winning. Resilience. Truth. Freedom. Ambition. To illustrate the theme, show the theme itself and its opposite. What about a romance novel? In that case, surely the theme must be ‘ Love’ or ‘Love conquers all’? I would ask, ‘What is the ‘all’ that love will conquer by the end of your story?’ (Betrayal? Trust? Truth? Respect?) When you’ve worked that out, you’ll have found your theme. Your premise is a story about two people falling in ‘love’. What does theme have to do with character development/characterisation? Everything. Character behaviour reveals theme. 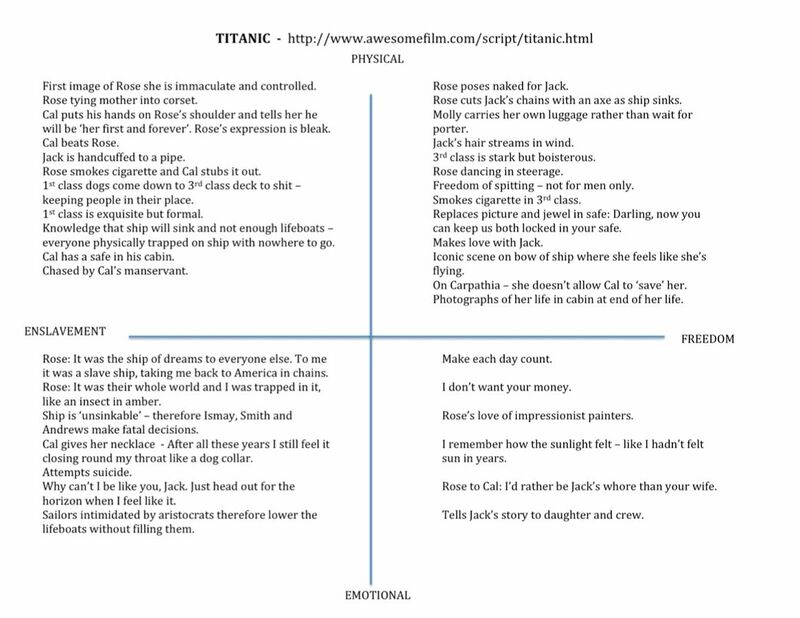 For example, take the theme ‘Control’ (and its opposite – ‘Freedom’) and have two very different characters go shopping. One, for whom control is an important part of her personality, won’t go anywhere near a shop without a detailed shopping list. She’ll know the price of everything, including that week’s bargains, and will have the correct money ready for the checkout girl even before she rings in the first price. Another, for whom it’s all about freedom, will go in there, pick whatever takes her fancy off the shelves and then have to rummage in her purse for payment at the checkout. Remember, there is no single ‘right’ way to write. Just write.